It is widely accepted that we bear special responsibilities toward those who are vulnerable, especially those who are vulnerable to our actions and choices. However, exactly who falls under the category of the vulnerable? What special responsibilities do we have toward them, and on what grounds? UNESCO. 2005. 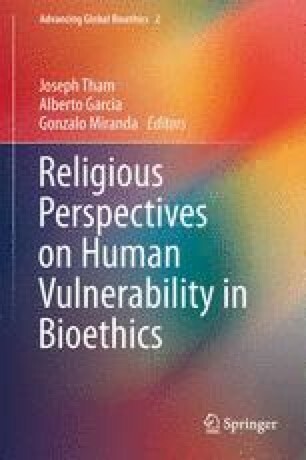 Universal declaration of bioethics and human rights. http://portal.unesco.org/en/ev.php-URL_ID=31058&URL_DO=DO_TOPIC&URL_SECTION=201.html. Accessed 31 Oct 2012.